I get the picture message of my mom at Logan, ready to check her things and board her flight to Venice. One large suitcase, a large personal item, a purse and one large fragile canvas packed up in cardboard accompany her. Yayyyy she's really coming! I woke up early to catch an Italo train to Venezia Santa Lucia. Walking to the station, I chuckled at the man who was happily riding his bicycle, 66cl Peroni, cap popped off, resting in his water bottle holder. Yes, siamo in Italia. Arriving in Venice, I had ONE task. Check-in and get a good room. Now to Mom's standards, picking a good room is difficult. The concierge first gave me one room option, but sticking to my mother's request I asked to see another one. This was a first for me! So, pressure on, I decided between the two rooms, settled my things then walked downstairs to wait for Mom in the lobby. I hear the concierge answer the phone two minutes later, and eavesdropping on the conversation I hear him say in Italian, "but the daughter looked at two rooms, she picked that one! Tell the signora that!". A little bit confused, I realize that that must have been my mom who saw the room and did not like the view. She must have gone up the elevator exactly when I went down the stairs. How funny. So I run up to the room, hug my mom, so glad to see her, then we go and ask to see a third room, and then we are satisfied. Much nicer view. Now to start the day! We walked down near the Rialto Bridge hoping to not have missed the Saturday morning extensive fish market that is always right on the water near the bridge. Unfortunately, we weren't able to find the Rialto fish market, but we did stumble across an event much more thrilling. We entered a campo near the Rialto area that was packed with people enjoying wine and mingling throughout the open space. Intrigued by the mass of people we walked around the campo to determine where everyone was getting their wine. We saw a cute wine bar that looked like it had good choice, but then we noticed a long line leading to a table with a cash register, a vat of fried fish, and bottles of white wine, backed by 3 Italian men. We read the sign, un bichiere di vino bianco e un piatto di pesce fritte - 8 euro. A glass of white wine and a plate of fried venetian fish all for 8 euro. The crowd was now making a lot of sense to us! We waited in the long line hoping we would be able to find a seat after we collected our vino e pesce and lucky for us a German man offered us two seats at his table! We had a lovely lunch with him and his friend from their tour group. They spoke English beautifully and kept us very entertained. The German fireman then proceeded to buy us a second glass of wine, so when we parted ways to continue on with our site seeing we were slightly tipsy! The fish was fantastic, I'd never had a plate of calamari so good, and the crisp white wine combined with the atmosphere of the Campo, I'd never had such a great lunch experience! From lunch, Mom and I meandered our way through the countless canals and bridges. Stopping at a few churches we ended up at the Scuola Grande di San Rocco. I went into the church across the way and found a bar for a cappuccino while my mom went into the Scuola Grande. Afterwards we wandered to a Vaporetto stop to take one down the Grand Canal to St. Marks Square to see if it was necessary or not for Mom to bring the rainboots. Fortunately and unfortunately, St. Mark's Square was no longer flooded, so the extra 10 pounds of boots my mom lugged on the plane did not serve useful. However, we had both been excited to experience a flooded Venice, so it was kind of a let down, but at least we were dry! From there we walked to the esteemed Daniele Hotel to have a hot chocolate before returning back to our hotel to rest up quickly before dinner. For dinner we went to a small family run restaurant. The 50 year old hostess seemed to be doing all of the restaurant duties from hosting, waiting, preparing antipasti, and washing dishes. Our food was relatively good, but the quaintness of the restaurant was perfect for us and we enjoyed the overall dining experience. Sunday we enjoyed breakfast with a view of the canal and headed out quickly to catch mass at St. Marks then get lost in the canal-ways. Mass in the gold mosaic covered church was fantastic. The intricate designs covering every floor and every wall kept me entertained when I couldn't understand what the priest was saying. After mass we hung around then went up to the balcony of the church that over looks the massive square. You could see people buzzing around the piazza, across the way people waving from the campanile, boats buzzing around the lagoon, the massive bronze horses on top of the church and the side of the beautiful Palazzo Ducale. Nearing lunch time we wandered toward the streets behind St. Mark's and got utterly lost. We stumbled upon two old italian men grilling sausages by a canal for lunch. What a site! Then when trying to find a place to eat we walked towards the area where we thought the Ospedale and Chiesa di San Giovanni e Paolo would be. We stopped at a very small, rustic wine bar that had a variety of fishy antipasti and a dog waiting at the bar with its owner. Another good meal with another excellent glass of wine. After lunch we found the right road to take us to San Giovanni e Paolo. We scoured every corner of the church, then I returned back to the hotel to nap and study for my presentation while Mom headed to the Ca D'oro. Wine bar that we loved the look of! Overall, Venice was magical. Very few complaints about the city, its tiny alley ways, countless canals, endless dead ends and wrong turns, but I do have to say that the food everywhere else in Italy is better with the exception of the mixed fried fish we enjoyed in the Campo on Saturday morning! On to BOLOGNA!!! Met mom after my classes on Monday. We got settled in my room, then decided to head out on the town! We had many options of restaurants and wine bars to try and too few days! We already learned the hard way that you must make reservations for any place really on Saturday and Sunday evenings, cause we were completely blocked out of our top choices in Venice! So we made our reservation for Da Cesari a recommendation by the Previte's. I showed my mom my favorite frescoed porticos that I walk under everyday, and then we had a very delicious dinner with a very delicious vino for night 1 in BO. Tuesday morning, we put on our book bags and followed my general schedule. Out of the house by 8:50, we stopped at Cafe dell'Academia where I go often, we took our cappuccinos and brioches, then hurried off to ideologia e legitimazione politico (political ideology and legitimation) woof. Now mom could understand how I feel in one my classes... NOT GOOD! She left at the break/pausa to go explore Bologna as I continued with my full day of classes. 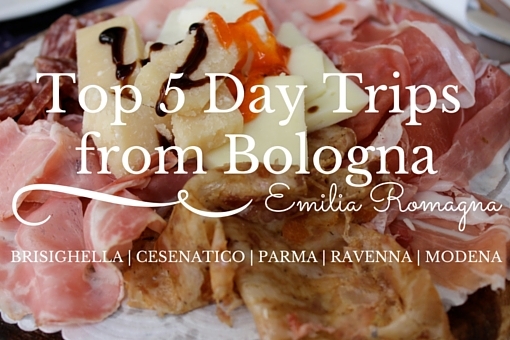 I met her for lunch at Tamburini an esteemed cafeteria in the center of Bologna. Before returning to class we made a pit stop at the polleria and were able to order a nice, athletic, 6 kilo TURKEY!!! After class I met mom at home, and we set up plans and reservations to eat dinner with Tori and her brother Alex who was visiting her for thanksgiving. Tori picked the location, La Traviata, and oh boy did we eat well. When we sat down and didn't know exactly what to order, the hostess told us exactly what we wanted to order. Coming up with all of these combinations of tasty tortelloni with bizarre sauces like walnut and balsamic, and offering a lovely diverse platter of fried treats and an artichoke salad, we accepted everything that she had in mind for us. Wednesday I had class, so Mom was off to Ferrara on her own. When I met up with her that evening, the obvious plan was to go find some wine! We walked around the streets in the center, stopping at a Parmesean store to buy some wedges of cheese. Then we meandered our way back to my apartment hoping to find a place for some wine. Luckily enough, a place I walk past nearly every day turned out to be a good choice for us. We generally had been trying the local wines of Emilia Romagna, but the owner of this small wine bar explained that he did not want to be like the other bars in the area, and wanted to offer different range of particular wines. He ended up offering us a delicious glass of organic red wine from Sardegna. And along side, they served the best tiralli and dried sweet pepperoncini. This guy and his wine bar were up in the ranks in Mom's book! We left buying a couple of bags of tiralli and the pepperoncini. For dinner we ate at a place 100 yards from my front door called Trattoria Trebbi. The meal was nothing special, but it was a cute local, family owned restaurant, so it sufficed. Plus, I could throw a stone and hit it from my window! I still had class all day, so I let Mom do all the thanksgiving preparation, per usual. After class she sent me hunting for a large carving knife and a can opener. Good thing it was Thursday afternoon! In Bologna, as Toni and I discovered as we arrived on a Thursday, on Thursdays, all stores close at 1 for the rest of the day. So I ran around Bologna in hopes of finding one store open to buy both the items, but the only places open were supermarkets and they were both knifeless and can opener-less. Oh well... we expected it should be an interesting Thanksgiving dinner with a lot of typical American delicacies missing anyway! Thanksgiving dinner was a blast. Alonso, Li Ang, Lavinia, Maria and Amy joined us around my tiny table. We drank quite a bit of wine. Mom made us parade around the table with the Turkey like they used to do in my Dad's family. Once all the food was done and on the table, we all sat around it (myself on a suitcase because of lack of chairs), the non-Americans in awe, and we each went around saying what we were thankful for, then MANGIAVAMO!! WE ATE!! Everyone loved the turkey and all of the typical American dishes, but the GRAVY was the biggest hit of all!! All in all a lovely evening in lovely company! Friday I have no class! We had a cappuccino outside in Piazza Maggiore then went off to do some shopping! Mom got me some nice boots, we walked through the open market, then down Indipendenza toward the station to get tickets for our day trip to Florence the following day. Our day was rather relaxed, we went to the MAMbo (Museum of Modern Art) and headed back home for lunch, making a pit stop at the Buon Riccordo Restaurant to reserve for that evenings meal. We ate lunch at home, then walked around until, yes, you guessed it, it was time to find a new wine bar!! We walked around for a while then stumbled upon a Jazz Concert on Via Santo Stefano, in the Piazza delle Sette Chiese. Then we honed in on a wine bar right near by. We sat outside under the heat lamps, enjoyed our wine, and the little stuzzichini that they offered us (finger foods). We weren't able to hear much jazz, only the warm up, and we were off to meet our 9:00 dinner reservation at Rosteria Luciano. Our meal was very good, but our argument with the manager over a discount for being a Buon Ricordo member really left us feeling sour and angry as we headed home. He was rude to us and a coglione! Now we know, always present the card FIRST! Saturday was Mom's last day in Italia and we headed to Florence to meet Claudia et al for lunch. It was a beautifully sunny day in Florence, and we had a lovely time catching up with Claudia and the rest of the crew. When we returned home, we had one last evening to find a delicious Wine Bar. I remembered there were always seats under the portico that connects Piazza Maggiore to Via Rizzoli, and there we found Al Voltone, which turned into our favorite by the end of the night. We enjoyed our glasses of Pignoletto (a local white wine) and indulged on the fantastically delicious tiny sandwiches that were served along side the wine. It was simply a wonderful outdoor drinking experience, and the icing on the cake was the man trying to sell us a toiletbowl lighter for 10 minutes, Mom couldn't help but laugh... and he wanted 10 euro! The plan then was to find dinner. I thought, how about Spacca! So we walked there, and then I realized oh its Saturday, Spacca is obviously PACKED, so we continued on... restaurant after restaurant down San Vitale was packed, along with Osteria Broccaindosso which had great reviews and has been on my list. So we decided to return to Al Voltone, this time, bring on the food! I had a delicious brodo con tortellini, Mom had tortelloni, and Al Voltone has my vote for Bologna's best chocolate cake. Cakes, brownies, cookies etc. are hard to find in Italy, let alone GOOD ones, and that chocolate cake was just FANTASTIC!!! We strolled home slowly taking in the rest of Bologna together, I called to reserve a cab for 4:30am, and Mom's short week in Bologna was over :( We certainly accomplished a lot, but not enough, so she'll be back!!! I'm looking forward to exploring more wine and food on her next trip!!! Well, this is great. Now I can just print and put in my diary. You have recalled this all so well, even though a few months have passed. I had even forgotten that the obsessive wine guy served only wine NOT from BO. I am looking forward to my next trip with Dad. I hope he doesn't cramp our style. Just reading about your Thanksgiving escapades ... wish I was there. See you at Easter!